Last month, after months of collaborative work, Industries Incorporated and like service provider, Pine Habilitation and Supported Employment, Inc. (PHASE,) merged together under the PHASE umbrella of companies. As one, the organization will serve nearly 500 service recipients across East Central Minnesota and employ over 140 employees. 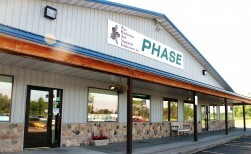 PHASE operates its primary services in Pine County in three licensed facilities, and serves individuals living in the counties of Pine, Chisago, Kanabec, Isanti and Carlton. For nearly 50 years, Industries Incorporated has been an integral part of the Isanti and Kanabec counties community providing employment, therapeutic and transportation services to adults diagnosed with an intellectual disability, traumatic brain injury or mental illness. 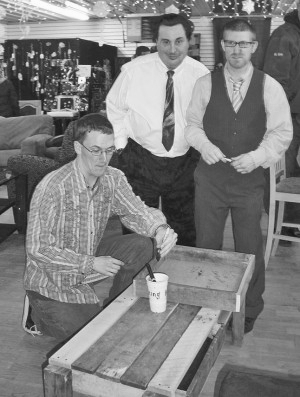 As a local nonprofit provider of services, all Industries Incorporated services and enterprises are aimed at providing individuals with disabilities with more employment options and enhanced therapeutic services. Every Industries Incorporated business enterprise employs, and is designed for and with, individuals with disabilities. 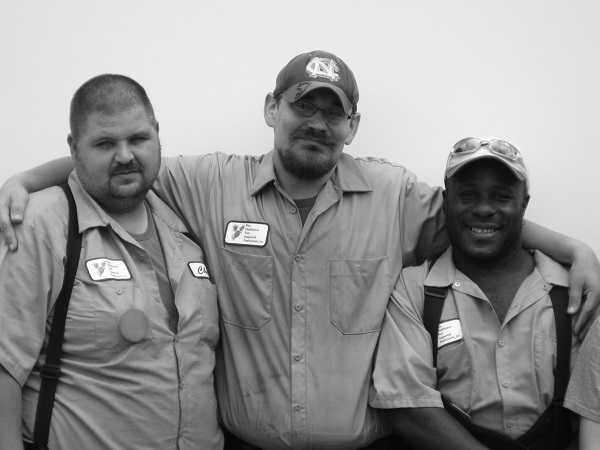 Industries Incorporated has built strong and successful employment placement programs. PHASE has honed its ability to work effectively with individuals with high, and often complex, support needs. Together, Industries Incorporated and PHASE intend to blend these strengths across the entire service region. MTI Distributing is the Upper Midwest’s leading supplier of Toro products and equipment. PHASE is honored to have MTI as a partner. 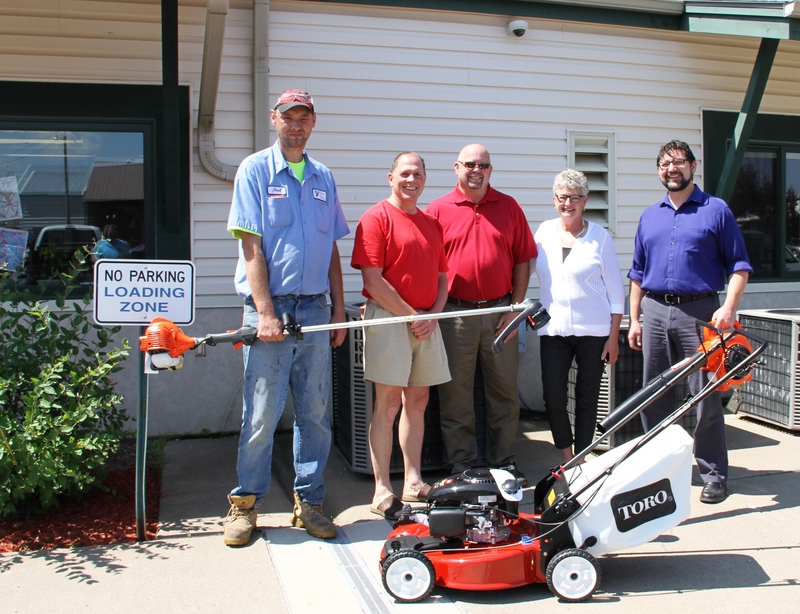 MTI recently made a very generous donation to PHASE’s lawn crew by donating a new mover, trimmer and blower! 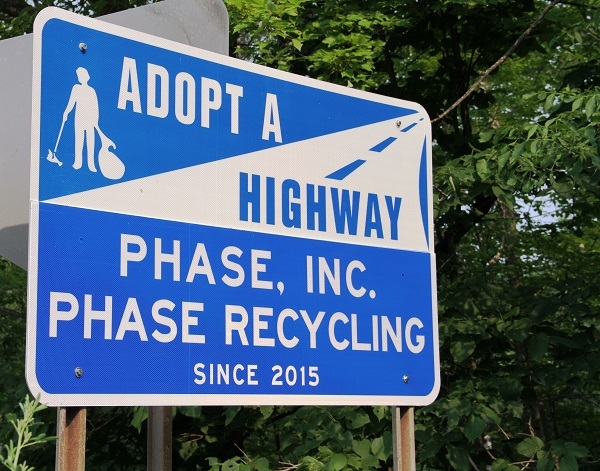 PHASE is proud to participate in the Adopt-A-Highway program. PHASE was very fortunate to be assigned to Highway 123 in Sandstone, as this stretch of highway goes right along the front of PHASE North/Recycling. Staff volunteers are committing to cleaning up the litter along the highway two times per year. The 'crew’ completed Spring clean-up on May 21st. Fall clean-up is scheduled for Saturday, October 3rd. CARF International announced that PHASE has been accredited for a period of three years for its Community Employment Services- Employment Supports and Job Development, Employee Development Services and, Employment Planning Services programs. The latest accreditation is the sixth consecutive Three-Year Accreditation that the international accrediting body, CARF, has awarded to PHASE. This accreditation decision represents the highest level of accreditation that can be awarded to an organization, and shows the organization’s substantial conformance to the CARF standards. An organization receiving a Three-Year Accreditation has put itself through a rigorous peer review process. It has demonstrated to a team of surveyors during an on-site visit its commitment to offering programs and services that are measurable, accountable, and of the highest quality. PHASE is a non-profit organization with offices in Sandstone and Beroun, MN. Founded in 1970, PHASE annually serves over 270 individuals with a developmental disability, traumatic brain injury, or a severe-and-persistent mental illness in the East-Central Minnesota. Guided by its mission of empowering program participants to Live, Work and Thrive through the discovery and development of their individual abilities, PHASE creates a bridge to health and employment with their clientele. For additional information, contact Tim Schmutzer, Executive Director at 320-245-2246. One and one-half million pounds of recycling a year is a lot of materials that would otherwise end up in a landfill. ​PHASE Furnishings will now be known as HERITAGE HOME CREATIONS- this location is focused on the continued effort on building participants building skills and teaching them how to participate in local events and sales events at the locations. 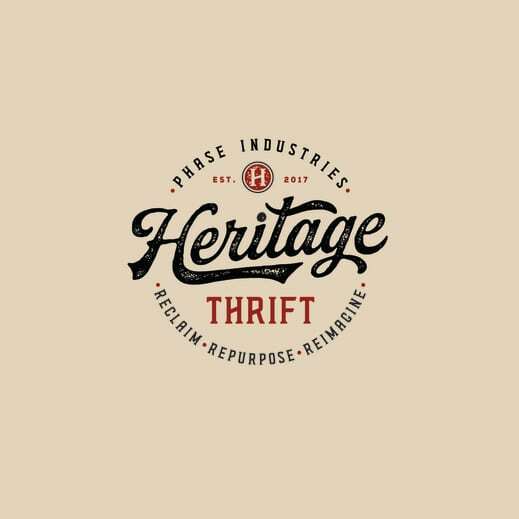 ​Goodworks Thrift in Mora that is owned by Industries Inc. will now be known as Heritage Thrift- this is not only a large beautiful retail space located on the corner of Hwy 65 and Hwy 23 in Mora, but is also an important part of training facility for our programming sites and employment services. Heritage thrift will also showcase and sell handcrafted items from Heritage Home creations and continue to sell items from Heritage Barn wood Products that is located in Cambridge. Contact Elizabeth Scott- Retail Director at 320-390-0947 with any questions or you can find us on Facebook or website www.heritagestores.org.